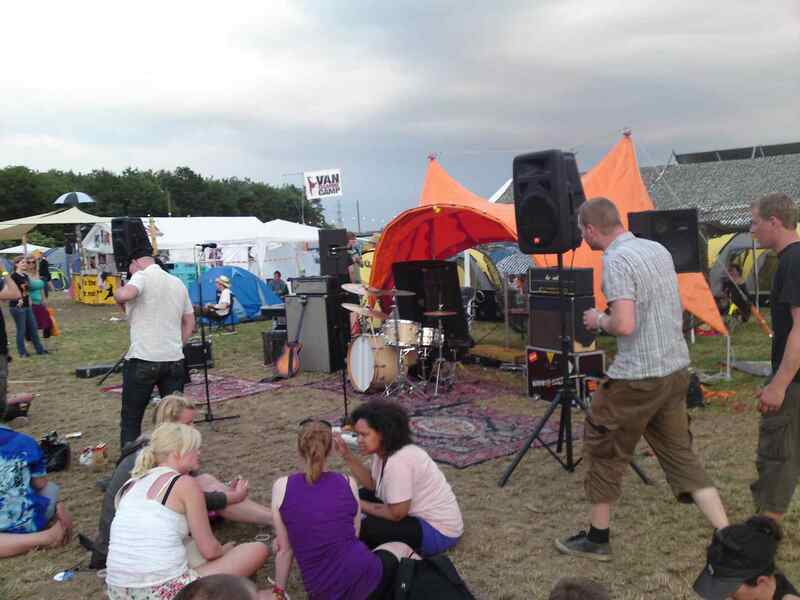 For several years OrangeCamp has supported the climate, environment and humanitarian projects, but this year we had set ourselves a bigger target for the Roskilde Festival, which succeeded to the full. 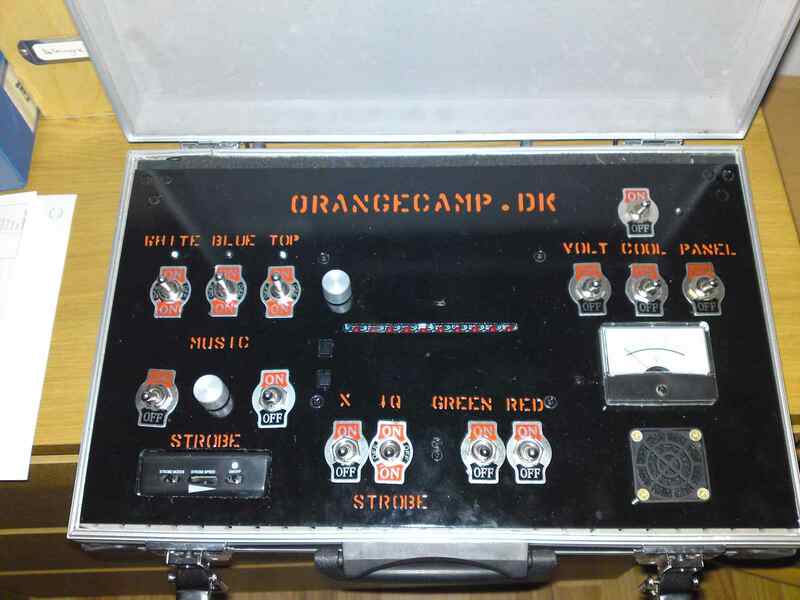 OrangeCamp accomplished, as the first, to create festival with lots of live music and DJ sets, where all sound and light were powered by renewable energy produced on site. Before we started the project, we were well aware that it would be a major task. We would have a full program of live music and DJ's in the warm up days and then later on more DJ's, but still with live acts presented as happenings. The greatest challenge was of course to gain enough power, but also in a safe manner. Further, the full setup needed to be trimmed to get the most out of the power we were able to produce. 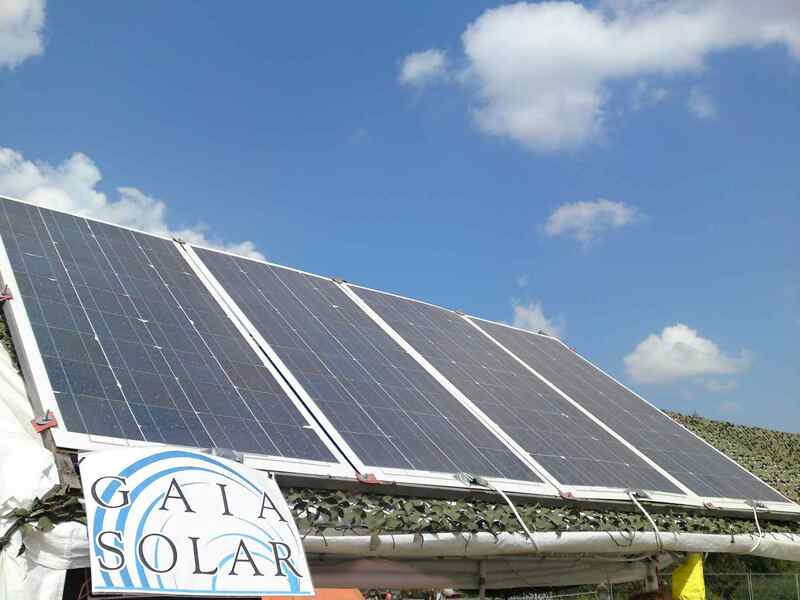 We chose to focus on solar energy because it is a reliable power source and almost without security issues. With this solution, we would have a reasonably stable output. Conversely, it made great demands on our ability to retain power, since we could only charge in daylight hours and a lot of our events were in the dark hours. During our work on the project we soon we soon realized that the market in this area are still in the early stages resulting in both the supply and the functions of the things you can get are very limited and more expensive than traditional equipment. Therefore we chose to build almost everything ourselves and only purchase the necessary basic components. 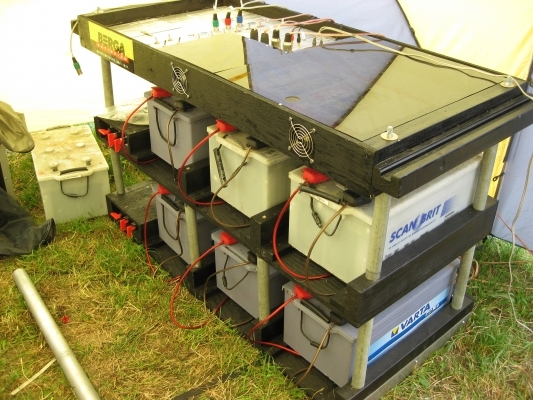 The things we had to build was: A system for managing and storing power, mounting hardware for solar panels, sound system and a comprehensive LED Lighting system to be built from scratch including a controller. The goal for our lighting system was that it would use minimal power, yet provide bright light. It should have a wide variety of effects and should be integrated into the tent design. We soon realized that we had to get the latest LED technology and to do that we had to order more of our LED's from Asia, because they had not arrived Denmark. In total 72 LED's spread across the front of the arc. 60 ultra bright LEDs, 20 blue, 20 red and 20 green. 8 more powerful strobe LED's and last but not least 4 CREE R2 225 lumens LED's at the top of the arc. We would like a huge variation in the various shows. To do this the LED’s were connected individually to the control box. This allowed us to build a controller with many different shows, which could be combined in every way. The effects would be: on/off, music controlled, strobe light, floodlight and programmable intelligent lighting. Controller was built to run directly on 12v, so as to avoid unnecessary loss of power in any power supply.